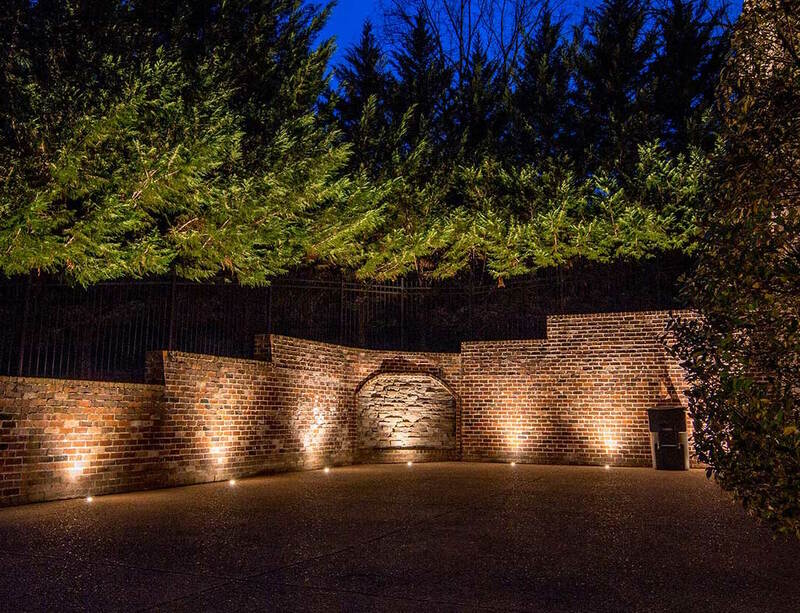 To achieve the most effective outdoor illumination and to minimize harmful side effects from that lighting, a lighting designer needs to have a good understanding of the nature of light, the effects of various types of light, and the light sources they use. Additionally, with the advent of an entire new generation of lighting, LEDs, it is all the more important that we not only consider light quality, but use good information to guide the development and implementation of the science of color temperature. 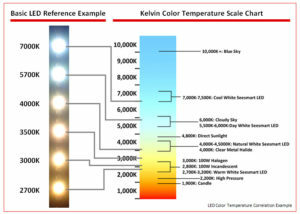 Color temperature is measured on a Kelvin (K) scale. Color temperatures 3500K and above are generally considered to be cooler temperatures that become bluer in tone (towards a clear midday sun) as the value goes up. Temperatures 3000K and below are considered warmer. As values decrease, the light assumes a more amber tone. Color temperature is often an aesthetic choice; every individual will typically have a different preference for each setting and application. Below are three examples of the same landscape, each with a different color temperature. 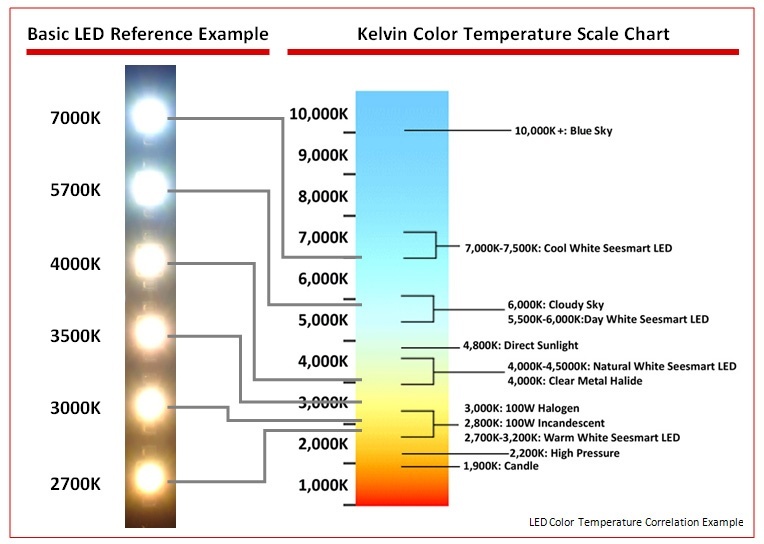 The primary kelvin range used in residential outdoor lighting is between 2500k-4000k. As a rule of thumb, warmer color temperatures are used on architectural elements (between 2500k-2700k) and slightly cooler temperatures are used on plant material in a landscape (generally 3000k-4000k). Many plant specimens appear more natural when illuminated by a higher kelvin light source. When downlighting from high up, down into trees, 4000k is best as it mimics the color of natural moonlight (commonly referred to as "moonlighting"). 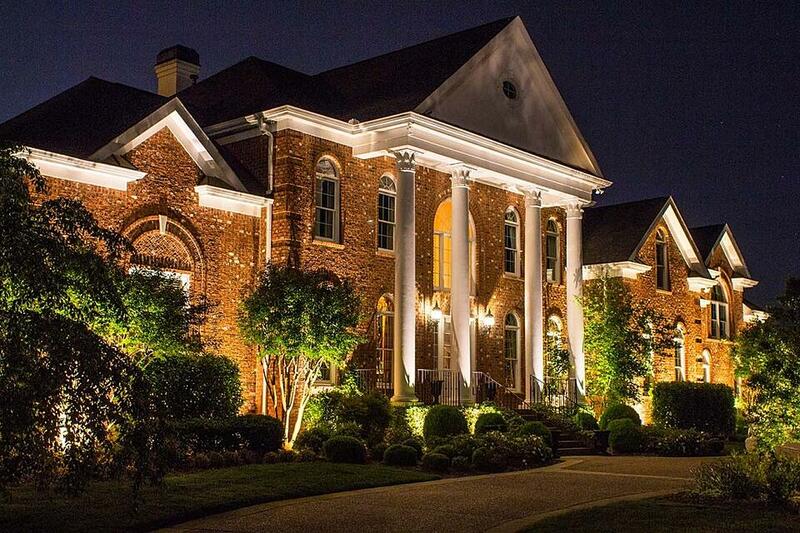 Architectural elements often consist of natural materials such as wood, brick and stone. Usually, these materials have earthen tones such as yellows and browns. As such, incorporating an amber hued lamp in the fixtures used to illuminate these elements helps bring out the warmth of these tones, more so than the white of halogen lamps and compact fluorescent (CFL) light sources. This warmth makes these elements feel more inviting and comfortable. Conversely, most plant material consists of green foliage. In these instances, utilizing a light blue hue helps bring out these greens to give the plants a more robust, healthy appearance. To sum up, the greens look greener. In a lighting scene where both plants and architectural elements are being illuminated, this slight shift in color between the two adds a sense of depth by creating contrast and separation between the two, allowing the viewer to better understand what he or she is viewing. You can see the effects of this layering in the photo below from a job we completed in the Oak Hill neighborhood of Nashville. 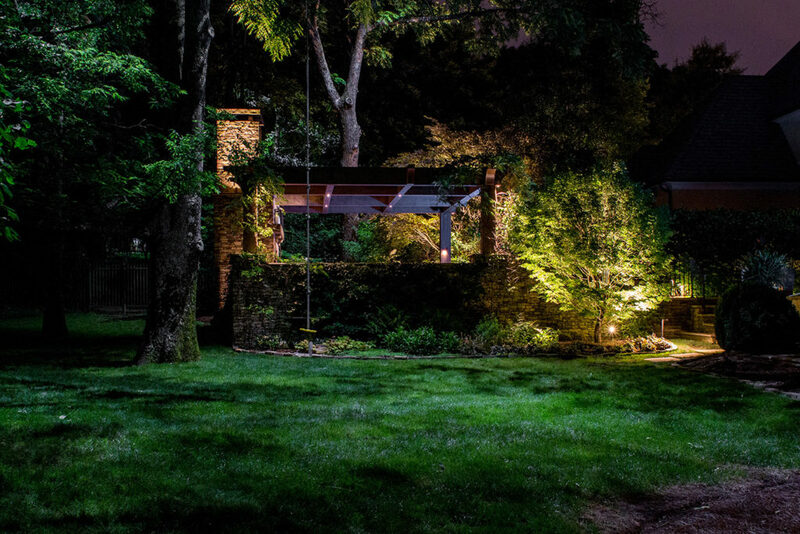 If you're considering a new outdoor lighting system, it's important that your lighting designer understands color temperature. 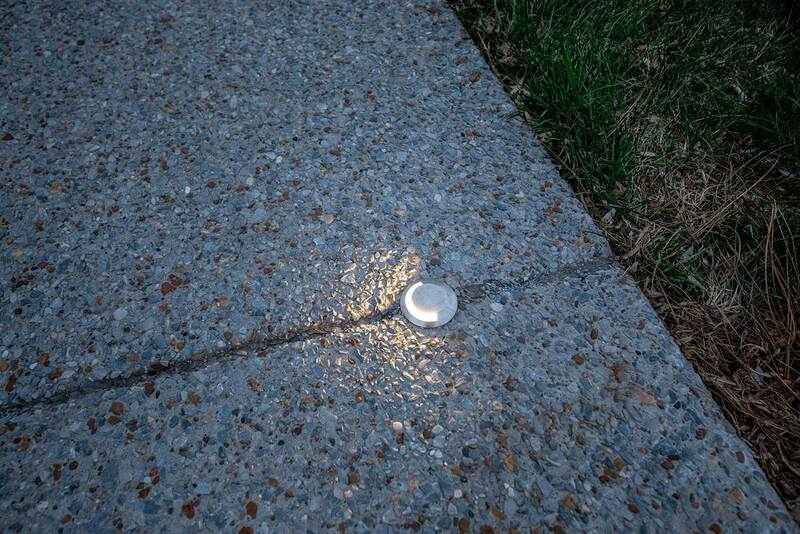 This is one of the many reasons why, when quality outdoor lighting matters, Nashville turns to us!